A Pennsylvania boy is currently in a medically induced coma after a schoolyard fight with classmates who he and his family claims were bullying him. Sixth-grader Bailly O'Neil, an honors student, of Darby Township, Pa., was involved in a fight four weeks ago at the Darby Township School. He was struck several times in the face by another student; the blow fractured his nose and he fell to the ground. His parents brought their son, who had a concussion, to the A.I. DuPont hospital in Wilmington, Del., where he was treated and released. But his father saw that something wasn't quite right with their son when they returned home. "He was sleeping. He was moody. He wasn't himself. He was angry a little bit. 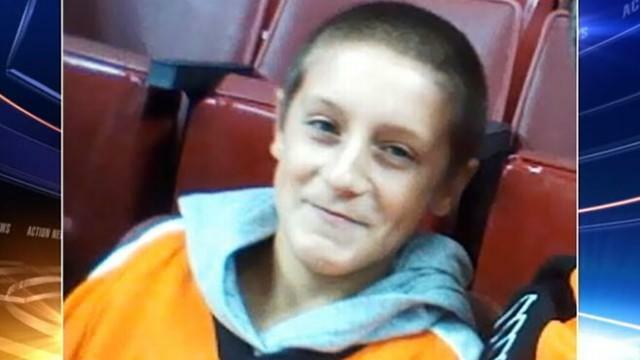 He wasn't really eating," Bailey's father Rob told ABC Affiliate WPVI-TV. Just a few days later, Bailey started having violent seizures and needed to be hospitalized again. The seizures were so bad that doctors at A.I. DuPont were forced to put Bailey in a medically induced coma nearly two weeks ago. When contacted, A.I. DuPont Hospital was unable to provide an update to ABC News on Bailey's current condition because of privacy laws. His father is trying his best to cope. "Every day I'm trying to stay strong for him," he told WPVI-TV. "When you get into that hospital room and you're looking at him, I would trade places in a heartbeat. It's my buddy, you know." Southeast Delco School District Superintendent Stephen Butz told ABCNews.com the school has turned the investigation over to local police and is cooperating fully with their efforts. "We take bullying seriously," he said. "We are very concerned about the medical condition of the student and our thoughts and prayers are with the family and students." According to Bailey's father, the boy who struck his son was suspended for two days following the incident, but police have not filed any criminal charges in the case.